The staff holiday party was a lot of fun as we stuffed our faces with pizza and cookies! We had a gift give away that many staff members won Bluetooth speakers, Echo dots, and a 49” big screen smart TV (Congrats Jennifer!). We just want to say thank you to all our compassionate team members and wish them and our all of our residents and family members the best as we celebrate the holidays and bring in the New Year! 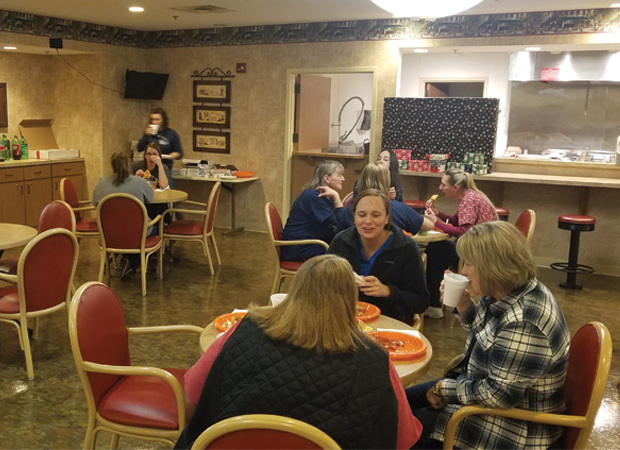 We are so thankful for the incredible team at Tuscany Gardens and how they have created "A Culture of Care" for our residents and families. As part of the Foundations Health Solutions family, we prioritize our residents, families, and their care.